A lovely picture! The theater is amazing. Tomitake-tei (富竹亭, Tomitake Hall) on Bashamichi-dori, Yokohama, Kanagawa Prefecture, a stone’s throw from Yoshidabashi Bridge. 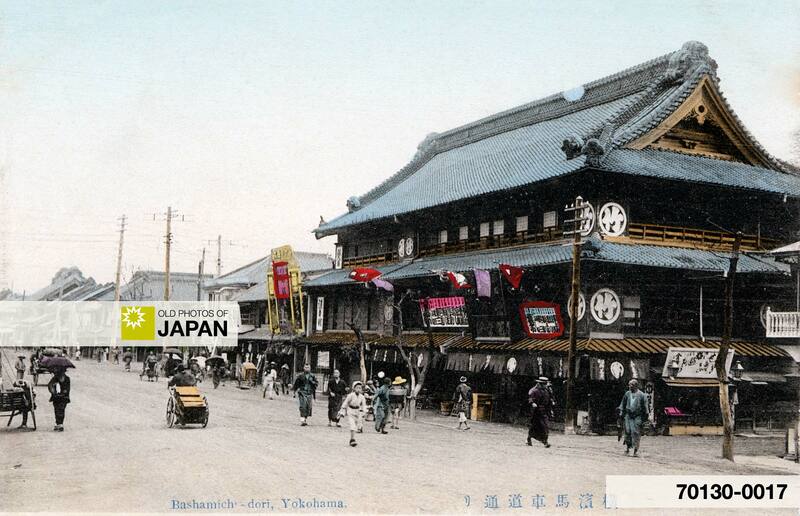 The theater, which was active through 1912 (Taisho 1), was owned by Takejiro Takeuchi (竹内竹次郎), who ran three other yose theaters in Yokohama. Tomitake-tei opened in December 1878 (Meiji 11). 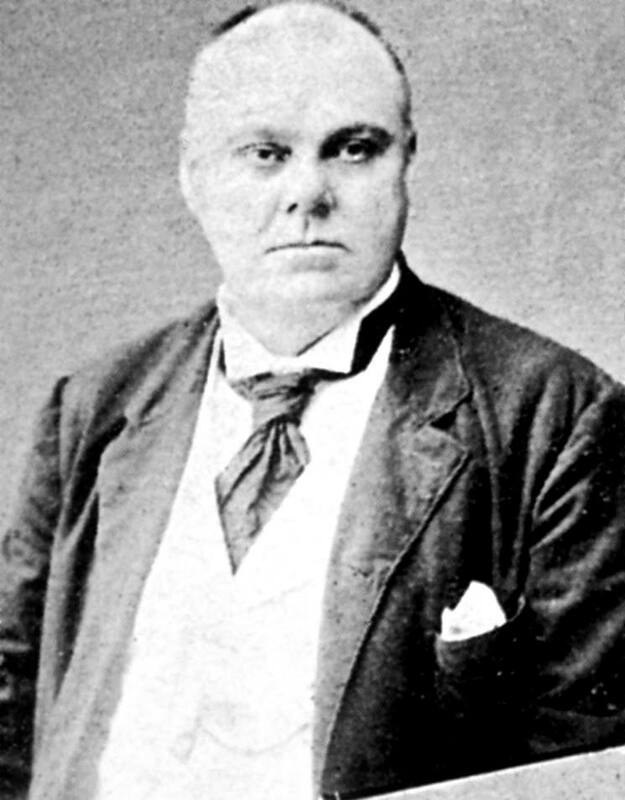 One of the theater’s first performers included the now largely forgotten Australian born rakugo story teller and kabuki actor Henry James Black (1858-1923). Black performed as Kairakutei Black (快楽亭ブラック), but was also known as Ishii Black (石井貎刺屈). His father was John Reddie Black (1826-1880), publisher of several newspapers in Japan, among which The Far East and the Japan Gazette. During the 1880s and 1890s, rakugo was a catalyst in bringing modernity to the Japanese masses, and Black did much to disperse concepts of modernization. Perhaps Japanese theater was the last thing that Black needed to worry about. Although much Japanese culture has been lost forever, most modern audiences will undoubtedly say that at least Japanese theater has managed to maintain its uniqueness. 1 McArthur, Ian Douglas (2002). Mediating Modernity — Henry Black and narrated hybridity in Meiji Japan, 219. You can also licence this image online: 70130-0017 @ MeijiShowa.com.